In the five years since we last saw a mainline Soulcalibur title released, no competitor has really stepped up to fill the game's specific niche. Focused on armour and weapons, the Soulcalibur games have always had a unique combat range, pacing, and impact speed built around various weapon styles. I played Soulcalibur VI for around an hour at a press event last week and, while the demo was very limited, there was enough to show that the fundamentals of the series are not being radically changed. This is Soulcalibur as you know it, with some of its systems simplified, and a couple of new features to help turn the tide in a particularly one-sided match. 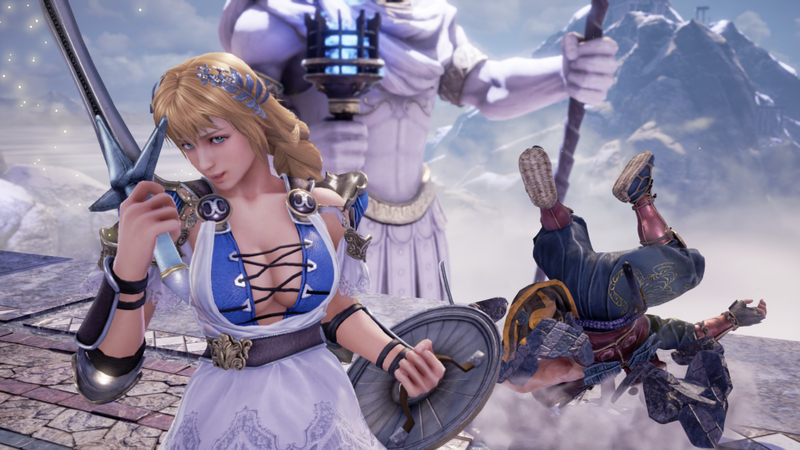 The demo featured only two playable characters, Mitsurugi and Sophitia: the former a slower but more heavy-hitting character, while Sophitia is more agile but packed less of a punch. The heart of combat is still stringing horizontal and vertical weapon attacks together, modified with directional inputs or strung-together combos, to try and get your opponent into a chain of attacks they will struggle to break free from. That much hasn't changed, and most attack priorities remain as they were previously. 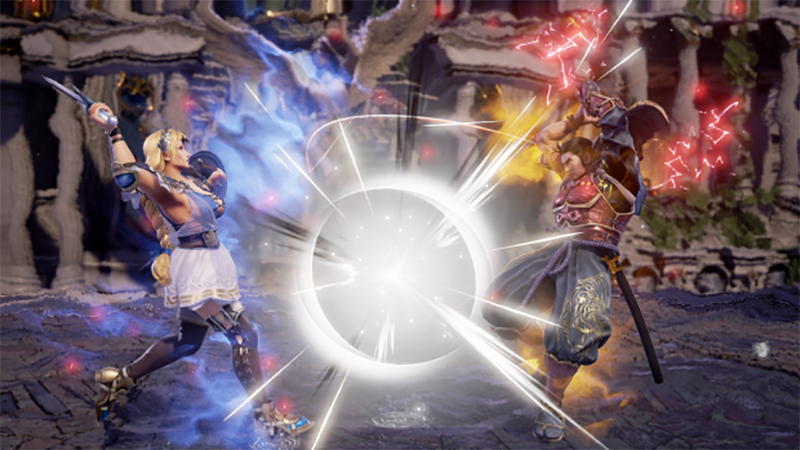 The biggest mechanical addition to Soulcalibur VI is Reversal Edge, a move designed to help players break out of combo chains and, if successful, reverse the momentum of a fight. You hold down a single button to charge up a striking attack which is slower than most other attacks in the game. The slow speed does leave you open and vulnerable for a few seconds but, as with SFIV's focus attacks, also grants armour that can absorb one hit without being stunned out of the charge. If you land the Reversal Edge successfully, the game slows down and zooms in on both players, giving each time to do a single action. You can either throw out a vertical attack, a horizontal attack, a kick, or jump backwards abandoning your current combo. This single choice functions like a rock, paper, scissors triangle, opening up the fight for a split-second's worth of mind games — and can give players who read their opponent well an opening in a one-sided fight. 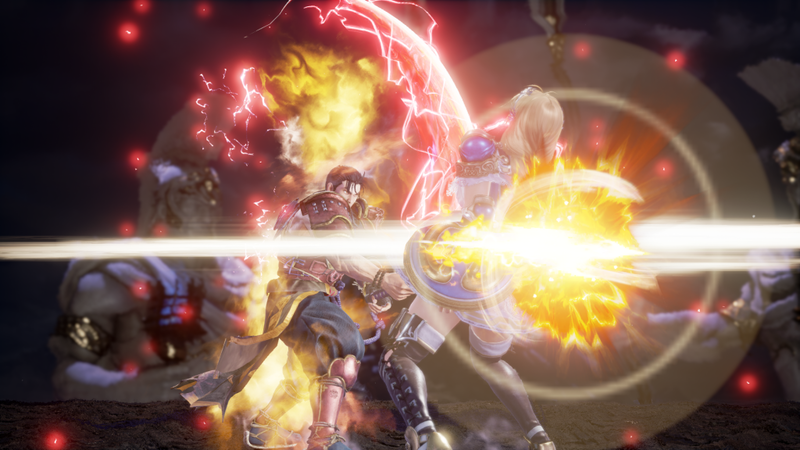 The Reversal Edge as a method for turning the momentum of combat takes on one of Soulcalibur's long-term issues: it can be a hard game for new players to get a grip on. This mechanic will surely have many high-level applications, but fundamentally it's there to make a one-sided fight feel more recoverable. Just because you're being pushed back doesn't mean you can't turn things around. Another new mechanic for Soulcalibur VI is Lethal Hit, a character-specific move which when landed will open a window for multiple follow-up hits. Each of these moves has to be triggered by specific conditions, so you'll not only need to know the conditions for your own character to execute the attack, but also be aware of how other characters' versions work. Right now we have no idea how varied the conditions will be in the full roster, but for Mitsurugi it was a vertical attack when he was rising from a knockdown, and for Sophitia it was a block into downwards slash. Guard Impact is back in Soulcalibur VI, but a little simplified in its execution. There used to be two different Guard Impacts: one forward and one backwards for attack advantage or positional advantage. Now there's only the forward Guard Break. This isn't a huge deal, as you can still move yourself into a better position manually in combat, but it does mildly reduce some of the complexity of the technique. Soulcalibur feels like a fresh start for the series, but not a wholesale reinvention. It's essentially the same core formula, with changes designed to help to keep fights flowing back and forth rather than getting stuck in one-sided combo loops — breaking out from one-sided pressure into executing your own combos is thrilling. It feels like victory can be wrested from near-defeat, and I'm excited to see how these changes to the formula work out when more of the roster is in play.